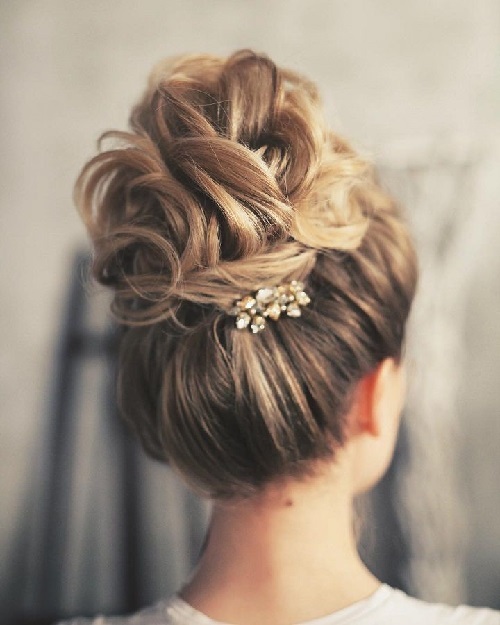 There are many Updos available for the bride, the most important person in a wedding ceremony. Even the bridegroom shall not be drawing that much attention. 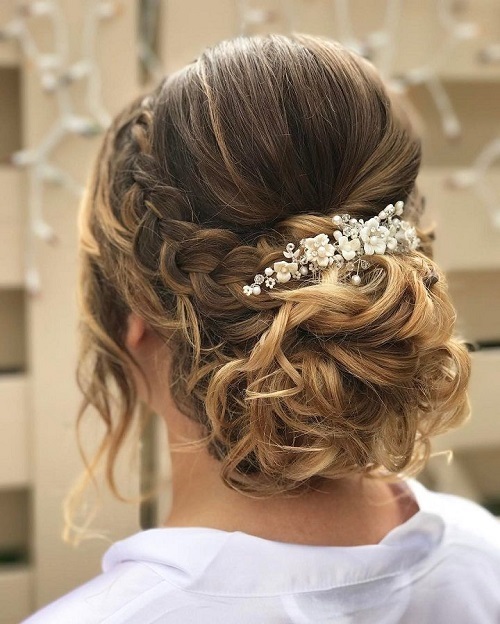 When all eyes fall on you almost all the time in a wedding ceremony, it is needless to say that all care and precautions have to be taken about you, especially your hairstyle. 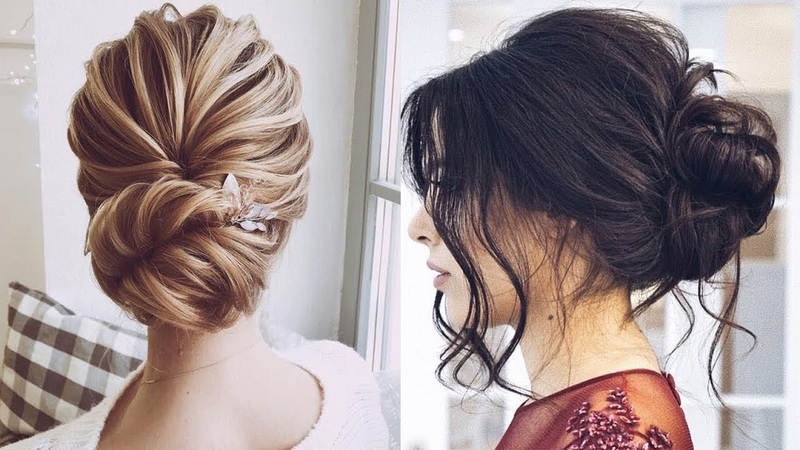 In hairstyles that are meant for wedding, Updos take prime stage. They are fashionable, sophisticated and classy. 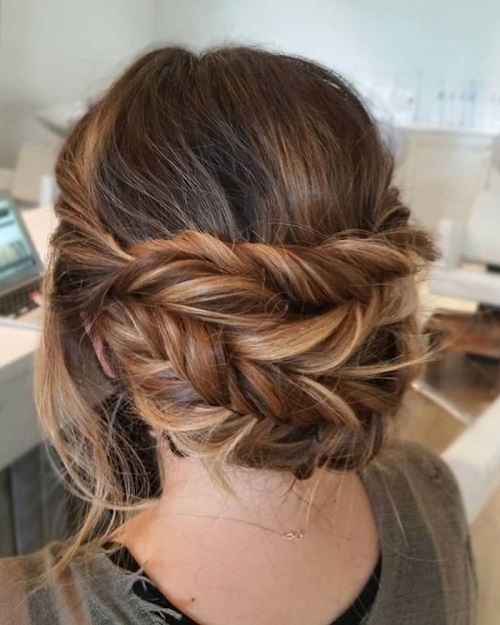 But even the simple looking updo would take a lot of time and planning and preparation. 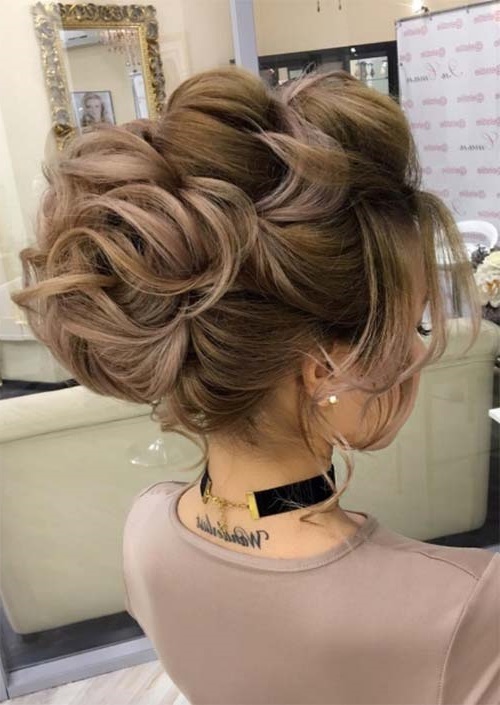 There are many kinds of updos available for the bride and if one plans well, she can have the best one, the most suitable one for her wedding. 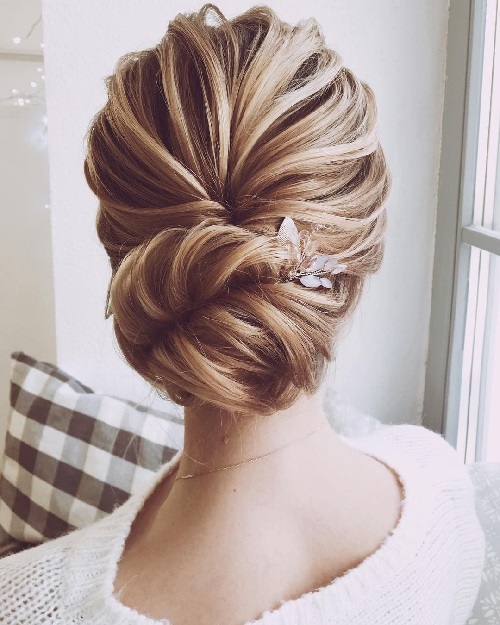 But, sometimes if the bride so decides on not having an updo, she can have the other classic hairstyles that are meant for these occasions. The side-ponytail is a flashy looking downdo and it is definitely not a simple style though it may look like one. It is elegant and at the same time, gives you an unwind kind of look. If you have long hair, you can go for the flowing curls style. This has a midsection that is plain and plenty of curls as it reaches the end. 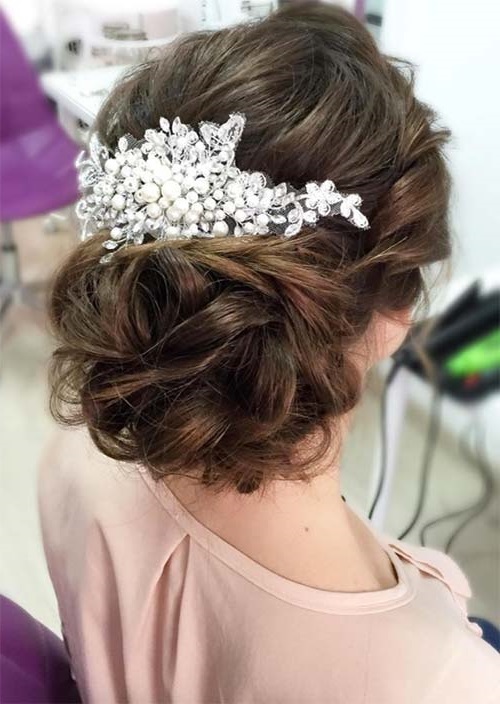 Accessories complete the bridal look in this hairdo along with the hair that is made shiny. Another style in the Curls section would be the long smooth curls. Extra long layers are made and the curls are prepared to flow throughout the length of the flowing long hair. 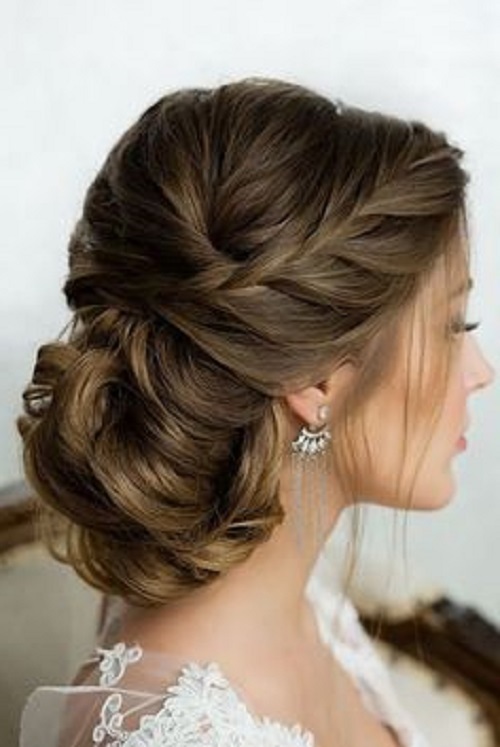 This is a very relaxed looking bridal hairdo that is both elegant and homely. 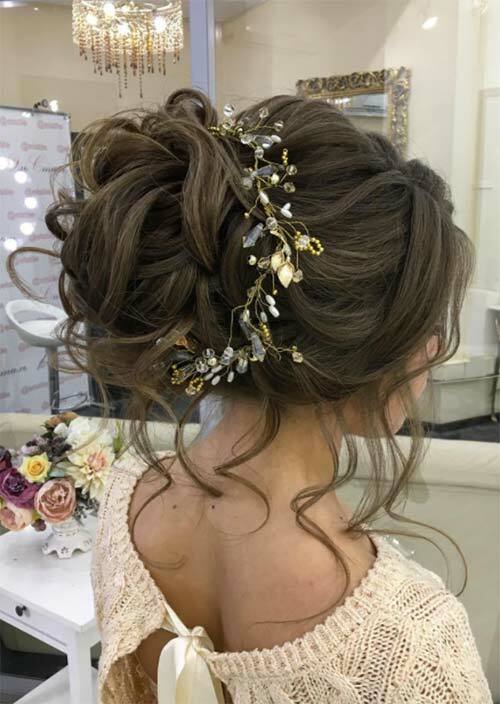 On the other hand if the bride has a short hairstyle, haircut such as the gorgeous looking locks would be the perfect option. An accessory like a coronet or a pert crown would make the necessary distinguished finish. For brides with medium length hair, short sweep bangs and down flowing tresses that end up in small curls shall be the ideal choice. The ends of the hair match with the ends of the veil, as the slight curls sway along calmly.